Growing up with a botanist as a father, Zeba Seraj was nurtured to look at plants in a scientific light. But at one stage in her life, she took a different fork on the road: she was more interested in rat livers and cow eyes, before becoming a ‘late bloomer’ in applied science and molecular plant breeding, which is her current niche. Having completed her Undergraduate and Master’s in Biochemistry at the University of Dhaka, Bangladesh, during the 70s and 80s, she moved to Scotland for a PhD at the University of Glasgow. After being persuaded that molecular biology and recombinant DNA technology were not likely to be too different in animals and plants, she focused on the separation of nuclear proteins involved in post-transcriptional processing in the rat liver system. 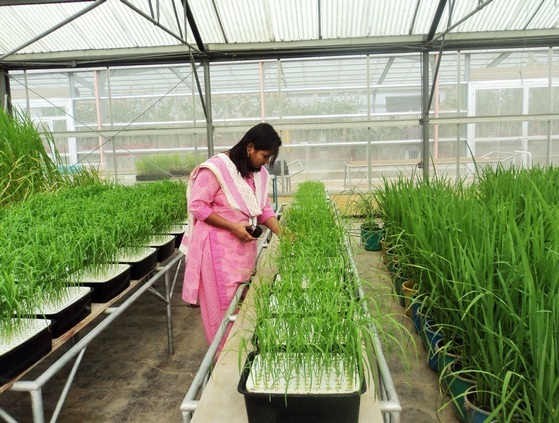 Back at her old University, one of Zeba’s first projects was working on salt tolerance in rice which allowed her to set up plant tissue culture facilities and establish a modest molecular biology laboratory. Zeba thereafter worked with the International Rice Research Institute (IRRI) and the Bangladesh Rice Research Institute (BRRI) on the Petrra project (poverty elimination through rice research assistance). The project was funded by the Department for International Development, UK. Meanwhile, she also spent a couple of months in the laboratory of the illustrious Dr John Bennett at IRRI, learning the latest technology in DNA markers and polymerase chain reaction (PCR) technology. This inital work would, in a way, lead her to GCP. 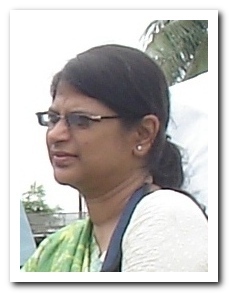 Zeba joined the GCP community in 2005, working on the rice Saltol (salt tolerance) project. 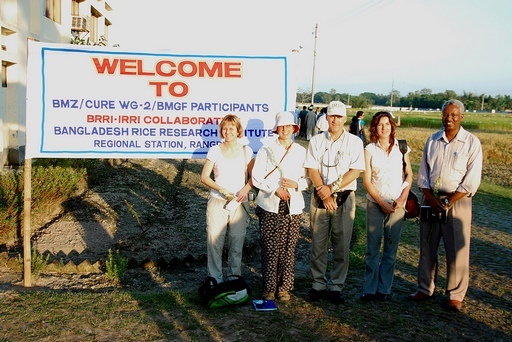 She was a focal collaborator in Bangladesh for this IRRI-led project that aimed to revitalise marginal ricelands by discovering and breeding into popular rice varieties ‘survival’ genes to enable rice to not only survive but also thrive on saline or phosphorus-poor soils. After 15 years of working as an associate professor and professor at the University of Dhaka (DU), mainly nurturing young biochemists, Zeba was re-energised by the thought of working on such a practical project that would have a direct impact on her country’s food security, and on its farmers’ livelihoods. 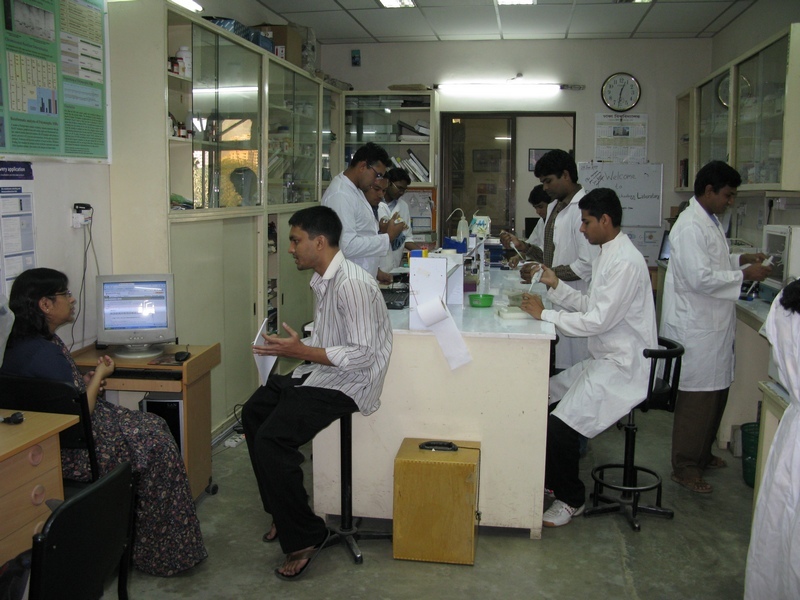 In the background, genotyping in progress at the Department of Biochemistry and Molecular Biology, University of Dhaka. In thef oreground, student– supervisor consultations. Pictured (left to right) are: Zeba I Seraj, Roman, Adnan, Sarwar, Debashis,Rabin, Dost, Mishu, Shamim and Rejbana. 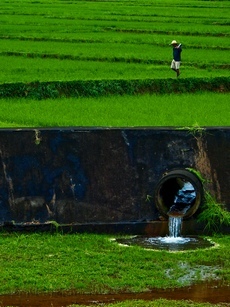 Nearly one million hectares along the Bangladesh coast are affected by varying degrees of salinity which has severely limited the introduction of modern high-yielding rice varieties, as few of these are saline-tolerant. Given Bangladesh’s high population, farmers need as bountiful yields as possible, and minimum risk of failure. “After reading and teaching theory for so long, it was really exciting to actually put it into practice and work towards a practical outcome,” says Zeba. 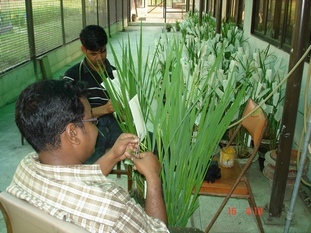 Zeba’s lab was responsible for the molecular evaluation and selection of rice lines bred by BRRI for insertion of the genomic region containing Saltol (discovered to confer salt toleranceby the previous IRRI-led GCP-funded project). 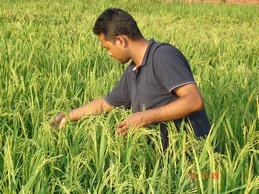 Md Sazzadur Rahman of BRRI assesses progress on a salt-tolerant rice variety in the field. 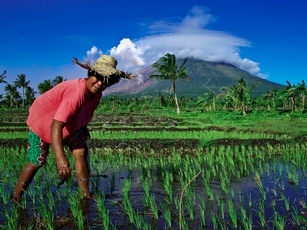 “The information we gathered guided the breeders at BRRI to select rice plants with the Saltol region. Selected plants were then further analysed with markers, to maximise the presence of popular alleles,” she adds. Allele is one of two, or more, forms of a gene – the alternative form of a gene responsible for a trait producing different effects. “Using molecular markers allowed us to at least halve the time it would take to release stress-tolerant rice,” Zeba reveals. 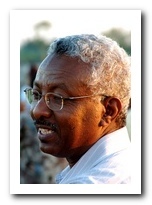 Seven years on, what next? Zeba is grateful that she and her lab were active partners in GCP projects for seven consecutive years: first in the IRRI-led project in 2005 to 2009, then in a follow-up supplementary capacity-building DU-led project from 2010 to 2011, for which Zeba was the Principal Investigator. Personally Zeba feels the project has given her a new direction in her career that she’s keen to further explore. “I’ve always enjoyed my job, particularly teaching students and young researchers, but this project has made me think about how I can do more practical science,” confides Zeba. As for the Saltol project, she is keeping a close eye on the application waiting for the news of high-yield salt-tolerant lines becoming accessible to all Bangladeshi rice farmers.